The NTEP certified mG-S8200 is used for large capacity measurements. With the ability to measure substances up to 8200g or 18lb, this scale is highly accurate and certified for cannabis sale in Washington, Alaska, Oregon, and California. 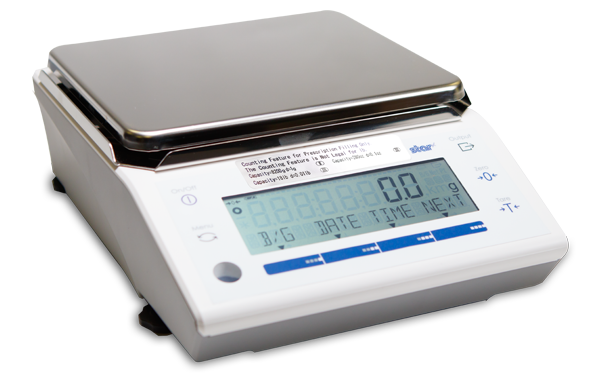 The reliability of the scale continues with the addition of a water and dust-proof cover. mG-S8200 offers software support for Windows, iOS, and Android, making the process of adding the scale to an existing system a simple process. In addition, the mG-S8200 has the ability to connect through three different types of interfaces including Bluetooth BLE, USB, and Serial. However, if desired, the scale can be powered either by a battery or through an outlet to allow for portable use.